There's a popular saying in skiing, "No Falls, no B***s." Sort of a take-off on "No Guts No Glory." It's a valuable message. If you don't take a risk, then you'll never achieve greatness. If you don't go out on a limb, you'll never reach the fruit. But sometimes falls hurt. 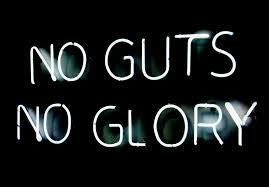 Guts are just another word for bravado. And limbs (of both kinds) break. The older you get, the more your knowledge-base of stories of people falling to their death on trails (or most recently a reporter in North Carolina slipping and pummeting 150 feet to her death on a waterfall), people who get lost in the wood or… worse. I'm calling this "Wipeout Part 1" because I'm quite sure they'll be a "Part 2" and probably more once the snow falls and ski season begins. In hiking, the analogy of "no guts no glory" doesn't really fit. Or probably shouldn't. But I did take a hike the other day with two major "obstacles," shall we say. 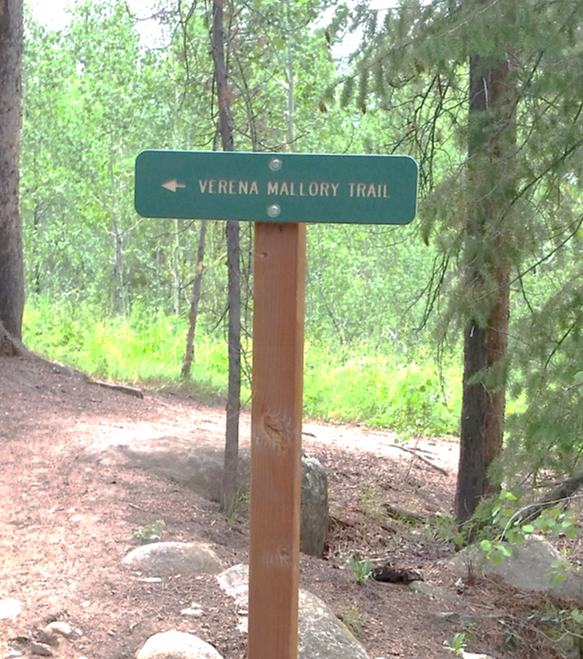 I was curious about a trail off of "Hunter Creek" called the "Verena Mallory Trail" that might have fewer rocks to navigate. As I was looking at this sign, a hiker emerged and confirmed that this was, indeed, an alternative that would avoid some of the rocks on the trail. What he failed to tell me was that this trail was TREACHEROUS. Not only narrow and uneven, it had sheer drop-offs. Where one misstep could have certainly led to death or serious injury. To make matters worse, the black flies were out in masse, biting aggressively. I made it – by taking tiny, careful steps – barely. Then, guess what happened? I was so exhausted when I got to the bottom and flatter land, I was checking the time and stumbled. Wiped out. It was a few days ago and I'm recovering from my relatively minor wounds. The odd part is that they hurt more now than they did in the hours or even days afterwards. Funny how the body heals itself. (For an interesting article on why healing wounds itch, click here). I know I'm showing my age, but The Agony of Defeat in this ABC Wild World of Sports is SO appropriate!